Lecithin is part of a family of fat-soluble molecules called phospholipids, and a vital component of cell membranes. 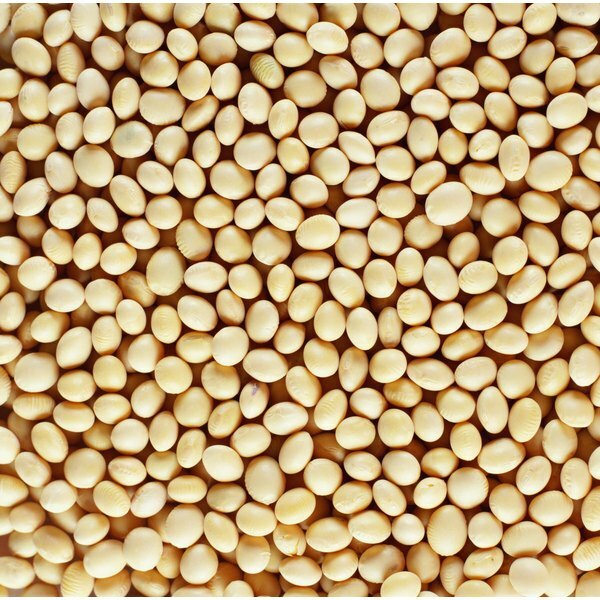 The body synthesizes lecithin from foods such as egg yolks, fish, soybeans, wheat germ, legumes, yeast and peanuts. Lecithin is also available as a dietary supplement. The U.S. Food and Drug Administration grades lecithin "generally recognized as safe," or GRAS. Lecithin may have a number of health benefits, but supportive clinical trials are inconclusive. Seek the advice of your doctor before using dietary supplements. Every cell in the human body needs lecithin, according to the Nutritional Supplement Educational Center. Lecithin prevents the cell membranes from hardening and facilitates the passage of nutrients through the cells. As a main component of bile, lecithin helps the body break down fat. The Nutritional Supplement Educational Center reports low levels of lecithin in bile may increase the risk of gallstones. Supplementing with lecithin may prevent gallstones and improve gall bladder health. Lecithin is an emulsifier that helps fats mix with water and other body fluids. The NSEC says this enables lecithin disperse cholesterol in the blood stream, so it can be removed from the body, thus preventing atherosclerosis and heart disease. But according to Drugs.com, there are no definitive clinical studies to support claims lecithin may prevent atherosclerosis. Phosphatidylcholine is a vital component of lecithin and is available as a supplement. The NSEC reports this purified form of lecithin may be used to treat various liver disorders such as drug- and alcohol-induced liver damage, toxic liver damage, diabetic fatty liver, cirrhosis of the liver, decreased bile solubility, chronic hepatitis and acute viral hepatitis. But in a study published in the November 2003 issue of "Alcoholism Clinical and Experimental Research," researchers at the Bronx Veterans Affairs Medical Center New York found no conclusive evidence phosphatidylcholine could effectively treat liver disease. Lecithin is a rich source of gamma-linoleic acid or GLA, which converts in the body into prostaglandins that help keep the blood thin, prevent clots and blockages, lower blood pressure and reduce inflammation and pain. Lecithin also helps the body absorb the fat soluble vitamins A, D, E, and K. As an emulsifier, lecithin disperses fat molecules in food products and extends the shelf life of processed foods. These properties make lecithin widely used in processed foods such as baked goods, chocolate, candies, salad dressings, nut butters, prepared foods, instant soups and protein powders.